Probably the best Halisaurus Skull and vertebrae it is possible to find. It was discovered in Morocco, and dates from the Late Cretaceous, 85m to 65m years old. 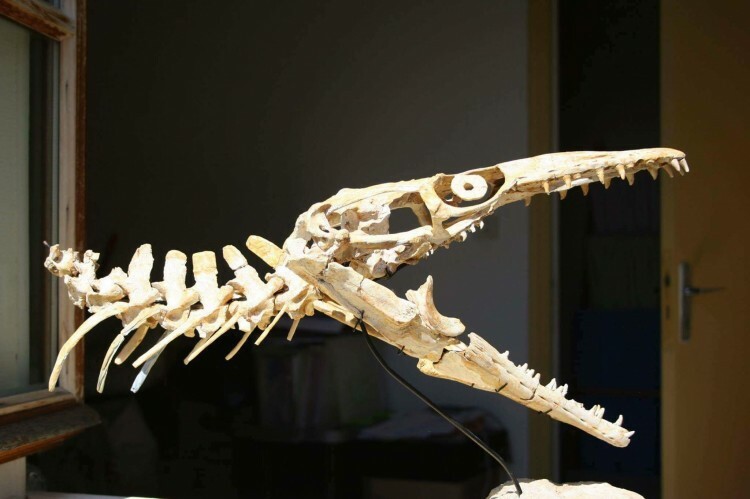 The skull comes with a full photographic record of its preparation by one of the foremost fossil preparators, and is 98% original. 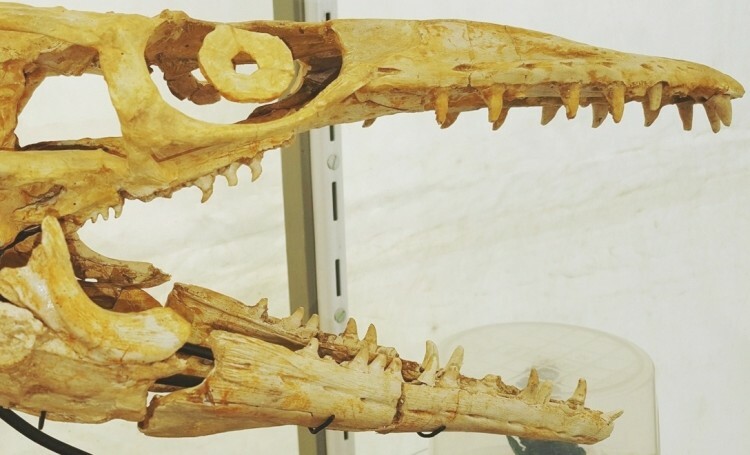 Halisaurus, meaning Ocean Lizard, is an extinct genus of the Mosasaur family. It is thought that it used to hide in underwater caves, lying in wait for prey that passed. 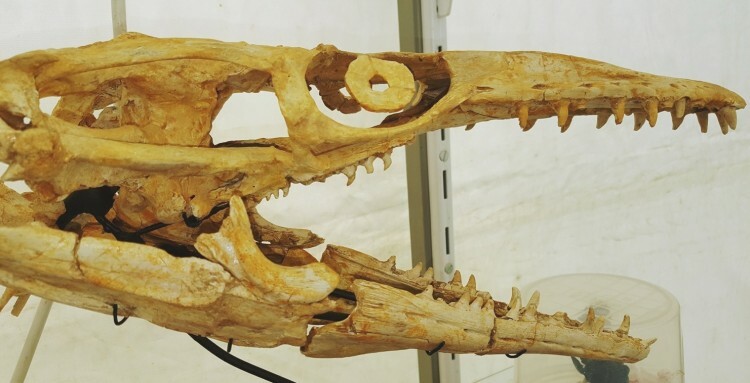 Although being one of the smaller Mosasaurs, at around 3 to 4 metres in length, it was still a voracious predator. As with its larger bretheren, it had extra teeth in the roof of its mouth to hold onto seized prey, while the jaw moved forward to swallow it. This is a wonderful addition to a collection, and a super display piece, as it has been aesthetically stand mounted. A highly appreciating investment fossil. 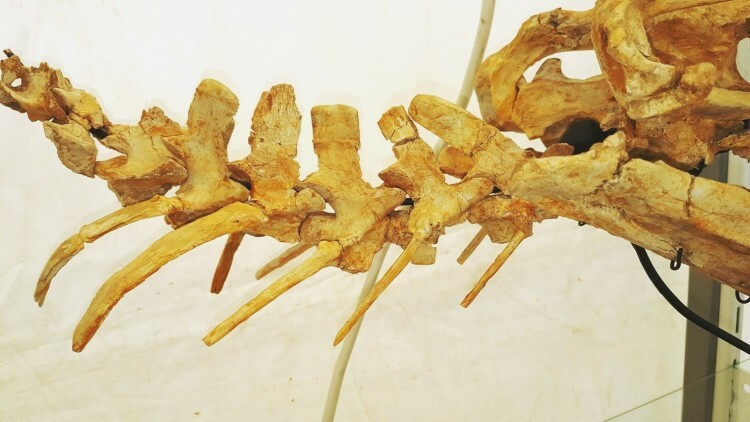 The mounted Halisaurus is 57cms in length.